This property is a lovely converted Georgian former residence that lends its original features such as generous dimensions and tall windows to create a pleasant working environment. 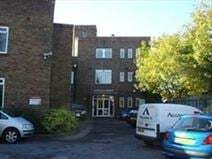 Internet and reception services are provided and the building is close to the heart of Leatherhead and the mainline station with its frequent services into London. Grade II listed office building constructed in 1935, former offices of Leatherhead Urban District Council. The building's interior has recently been given a complete overhaul providing a modern working environment, a glass and steel structure. Fully furnished and serviced office centre including telephone, ADSL broadband, car parking, meeting and conference room access, 24 hour access, security, reception team with personalised telephone answering, and on-site management. One minute’s walk to the town centre and ideally located to provide convenient access to a range of shops and services. Train station is just a few minutes’ walk away with easy access to the nearby M25. A prestigious centre with space for companies of all sizes and offering a huge number of benefits including contemporary furnishings, a peaceful lounge, showers, kitchen facilities and parking. 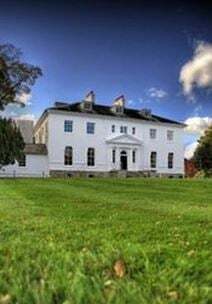 Excellent in-house management and IT systems are in place and the property has a lovely Thames location near to the transport links and civic centre of Leatherhead. This serviced office centre is conveniently situated in a lively business district with excellent road connections and equidistant from Heathrow and Gatwick airports. This cost-effective centre provides workspaces suitable for a range of types of business, on flexible terms. A sharp, modern building with lots of natural light and featuring top specification offices with ultra-modern facilities and smart interior design. Reception services and conference rooms are to hand and the property is also blessed with showers and on-site parking. Leatherhead centre and station are within walking distance. Set within a stunningly beautiful countryside location by the banks of the river Mole, this charming 18th century property offers 3 floors of offices with period dimensions, some with full-height windows. Reception staff man the impressive lobby and the centre has its own café which also caters for meeting. There is a neighbouring leisure centre and bars and restaurants in the immediate area, whilst central Leatherhead is a short distance away.